Having some Easter Fun with the community! Everyone is welcome at the Lord's Table! The mission of the Retreat United Methodist Church is to provide opportunities to grow in understanding of who God is and what it can mean to follow the teachings of Jesus in a setting of love, joy and cooperation by reaching out to others in our community and sharing our resources with others in need around the world. We are a faith family that has a long and rich history. 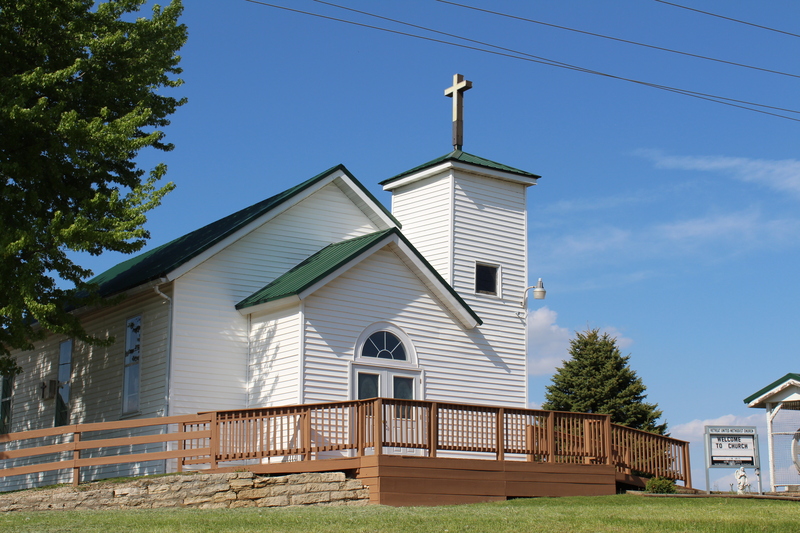 Since our founding as a Methodist congregation in 1867, we have continued to serve the Retreat / De Soto area with the love of Jesus Christ through various community projects, missions, and Sunday worship. Our worship features solid biblical teaching and traditional hymns in a family-friendly atmosphere. We are an active church with many opportunities for everyone to share in. We also support many world-changing programs locally, regionally, and globally. Whether you live in the area or are simply passing through the local countryside, we invite you and your family to worship with us any Sunday morning. What should I expect when I visit the Retreat UMC? 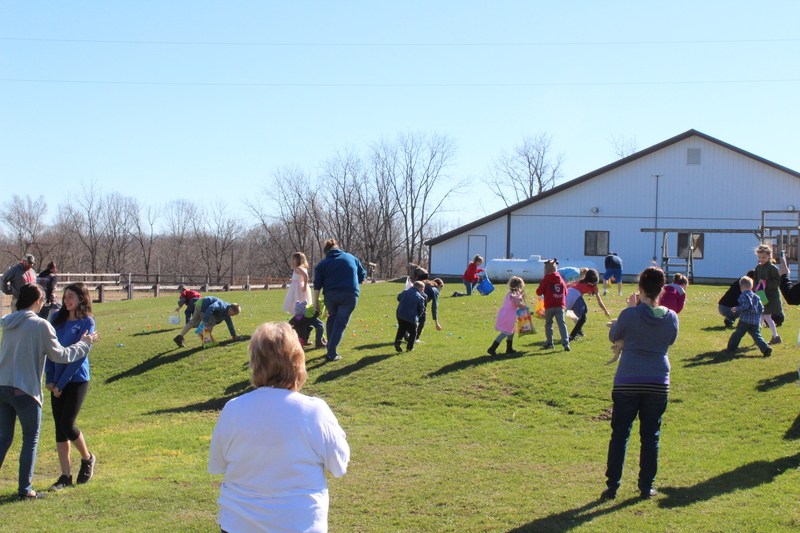 The people of the Retreat United Methodist Church believe that a church is a faith family that everyone is invited to be a part of… so come as you would to a family event. You will not be judged by your appearance. Some of our Sunday crowd arrives in a t-shirt and jeans while some like to dress up a little more. Where do I park my vehicle and which door do I use? We have plenty of parking available and our facilities are all handicap accessible. Two gravel parking lots are available, one located on the west side of the church and another located on the east side of the church. Both parking lots have access to County Highway N. The church building is easily accessible from both lots. Simply go up the wooden ramp to the main entrance facing the roadway. Someone will be there to greet you and answer any questions you may have. The fellowship hall is located behind our church building and is also easily accessible from both parking lots. If you wish to enter into our fellowship hall during any of our events, please enter through the doorway that is facing the church building. We are warm and welcoming, and want everyone to feel accepted. When you arrive you will be greeted by our hospitality team who can answer any questions you may have. You will also be handed a bulletin upon entering which details the order of worship for the day and any other important information you may need. If you would like to see an example of our weekly bulletin, feel free to check out the bulletins from our recent worship services. What will the style of worship be like? Our services are very relaxed and free-flowing. Feel free to be yourself. If you find something amusing, feel free to let out a laugh… you likely will not be the only one! The music featured during worship is traditional and are often songs that many are quite familiar with. Is there a time of fellowship? Many who attend our services arrive early and/or stick around following worship to enjoy fellowship with one another. Beverages and sometimes snacks are available during this time. Feel free to enjoy these during worship as well. Is there a special program for my children? 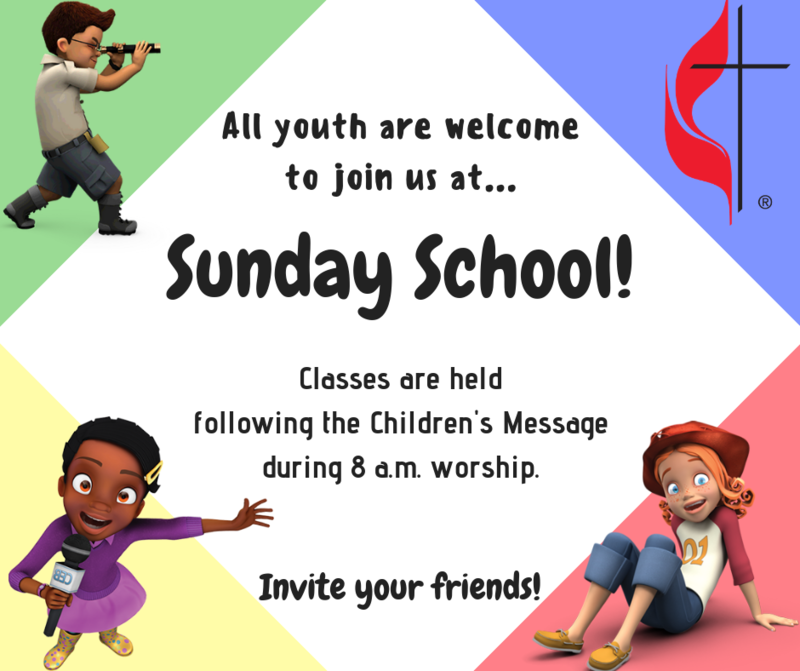 All children are invited to participate in our Sunday School program. 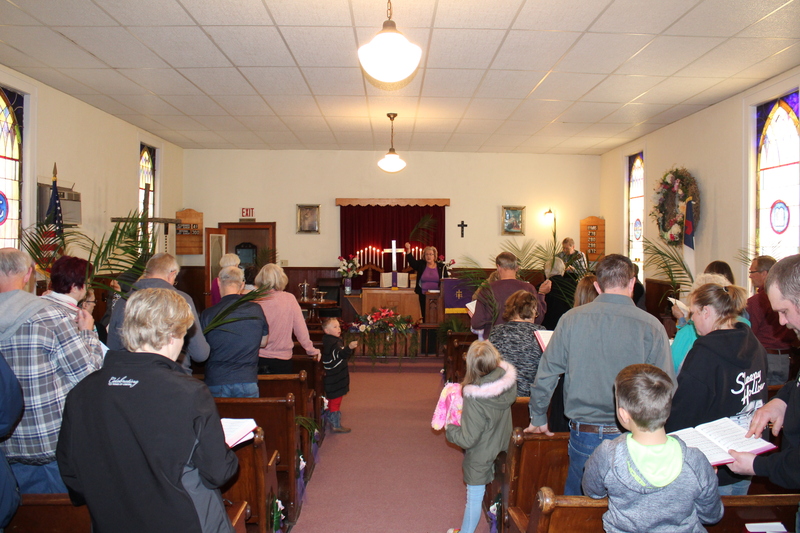 The Sunday School is active from September through May and begins part way into the service. We all start worship together as a family and then following a children's sermon from our pastor, the children are invited to Sunday School. The Sunday School concludes at the end of the worship service. If your children do not wish to participate in Sunday School, that is okay too. Feel free to let them stay and worship as a family. We welcome all ages to worship with us! What do you do for communion? Communion is celebrated one Sunday each month, generally on the first Sunday and on other special days throughout the year. Everyone is welcome to participate. 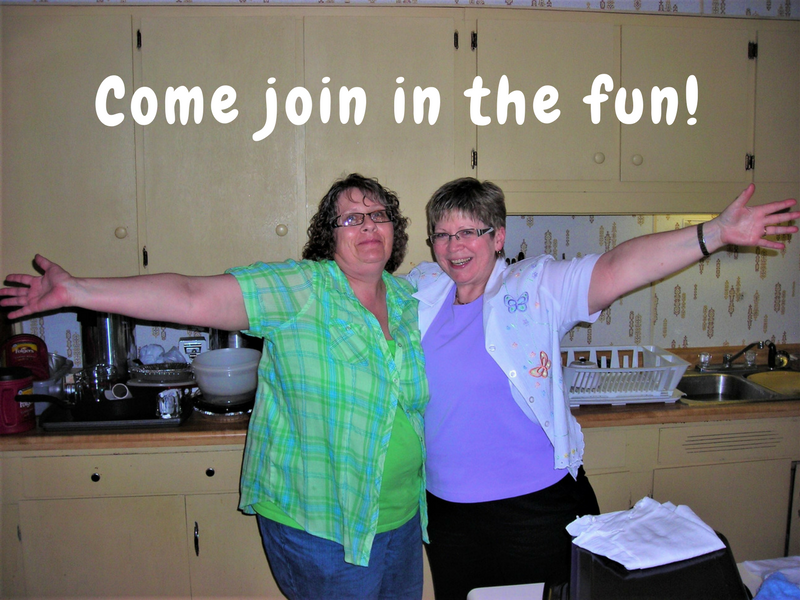 Seeking more information about the Retreat United Methodist Church? If you have any additional questions please feel free to email us or call the office at (608) 648-2528, and we’d be glad to make sure you have the information you need! in April, June, & Aug.
and other special days throughout the year. Check our calendar for special services! Follow the Retreat United Methodist Church! 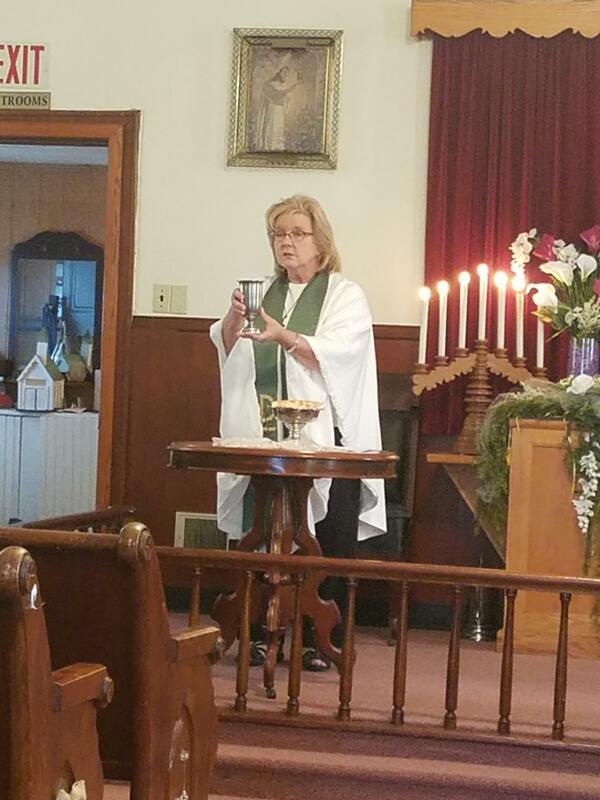 The Retreat UMC often opens it doors and allows community groups and families to use it fellowship hall and sanctuary for events like meetings, weddings, funerals, and other family gatherings. For more information on our facility use policy and any charges associated, feel free to contact us via email or call the church office at (608) 648-2528. Feel free to check out our newsletter!